Ever had the thought after something odd, upsetting or even betraying has happened ; boy if these walls could talk i would be in so much trouble. Or if these walls could talk what would they tell me. I am an energy sensitive person and when I walk into a home walls and all the space in between the walls do talk to me. They absorb the energy of the “home”… it’s past and present. Sometimes it is very comforting to be there and other times i want to turn and run out of the space. 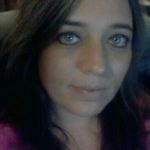 I want to share some of the things i have encountered over the years and how i dealt with those encounters. But before going further on the topic, I think i should give you a little peek into my past, to give you a better understanding of who I am and how I became the “me” you see today. I have always been an energy sensitive person, but I have not always understood that side of who I am. When I was a child I would know things see things feel things and sometimes hear things. However, growing up in a religious home, I was taught that those things were evil, and that I should not play with them. My parent’s main objective basically was that I should avoid those aspects of me at all cost. So i blocked that part of me out as best as I could, but in truth, I was never fully able to succeed. Than at some point not long in the future, my life began to fully turn, and things that I had tried to block out came rushing in as fresh as ever, and there was no stopping the process, I guess I could say, my evolving to who I am today, began. I started reading for friends, and those friends began to tell other friends, and I began reading for those other friends, until literally I was getting phone calls from people who wanted readings. The more readings I did the clearer the gift became and at that point I had to learn to accept me and the gift. the path went from reading individuals, to parties, and eventually I started getting request for group readings. Working one on one with people wasn’t a problem, but just the thought alone, of having to do a group reading scared me. So many energies concentrated at same time and place, how was I ever going to be able to understand, distinguish or focus even on what I was receiving, and how would I be able to know which message belonged to whom. I can remember back to one of the first group readings I had, the lady had called and asked me to come to a bachelorette party. I remember on the way to the woman’s home that i was very anxious but at the time I thought it was because of nerves. I pulled into the driveway and i sat there waiting for my nerves to calm before i went into the house. I walked in stood in the living room space for about two to three minutes turned around and walked right back out the front door. Taking a deep breath, i walked inside, this time more prepared and I began to listen. As I listened I learned it wasn’t the energy of the walls that were speaking to me, it was a spirit stuck in-between worlds, that had returned to this home because it was the last place they felt peace. I began to describe the energy (spirit) I felt, to the owner of the home and those that had gathered for the group reading. The more i described the more relief they felt. The spirit was a loved one lingering in the home, stuck between the two worlds, causing the house to carry the energy I felt when I walked in. In this situation I spoke to the spirit about her fear and why she was still lingering in-between worlds. The more I spoke to her and calmed her fears, the more she allowed me to help her, eventually let me help her cross over to the other side. This process took me to bring forth the loved ones and opening the gateway with the light for her to cross over. As it was done, everyone in the house felt the energy in the home shift in the home. This is just one example of energy remaining in a home until cleared. Reading groups is challenging, but parties are no different at times. On this particular party, and this was one of the more memorable ones, I was doing one-on-one readings, but it was definitely not your ordinary readings session. Like I normally would do, I was sitting in a separate room, and as everyone gathered in the main room, socializing, one by one would join me in the other room for their reading. I remember this lady came in and sat down, and as I began to read for her, the concerns of her home came front and centre. Now this is a bit different situation for reading a home than it normally would be. I was not in the woman’s home, remember we were at a party, and yet I had found myself energetically reading her home from where I was sitting. As she sat listening, I began to walk her through her house, stopping in each room looking around, and listening. She had thought that her house was haunted by some dark creature, creating chaos and uncomfortable feeling, but this home was holding residual energy of past tenants. To clear this energy I began to envision a broom then I swept the floors and walls of the rooms i felt discomfort and then releasing back into the universe. When I was done clearing her home, I advised her to get some white candles and burn them in the cleared spaces of her home. The lady later contacted me and told me that for the first time since she had been living in that home, she walked in and her home actually felt like a home, not a place of chaos and discomfort. 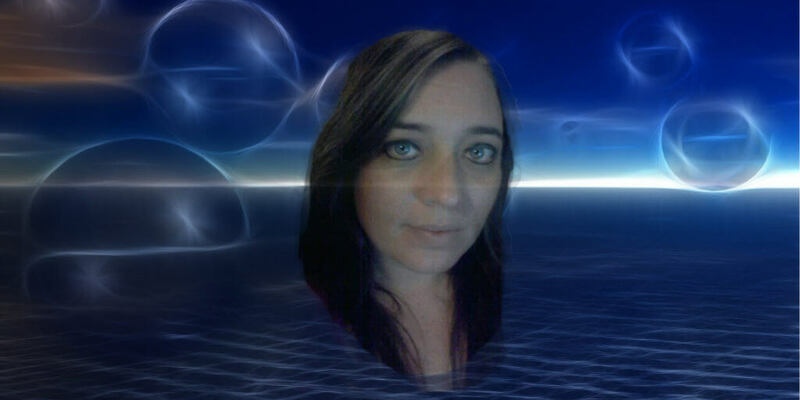 You can find her listing on Psychic Wall here Psychic Medium Laura. As a child she would see things and hear things, but was always told it was her imagination. As she got a bit older, she blocked what she saw and what she heard the best she could. However, the fact of knowing things and feeling things never went away.